Why was Common Core and the Assessments to Common Core RUSHED? Common Core is a Data Point and Want it Collected in this Huge Data Base Cloud that is Hosted by Amazon.com. 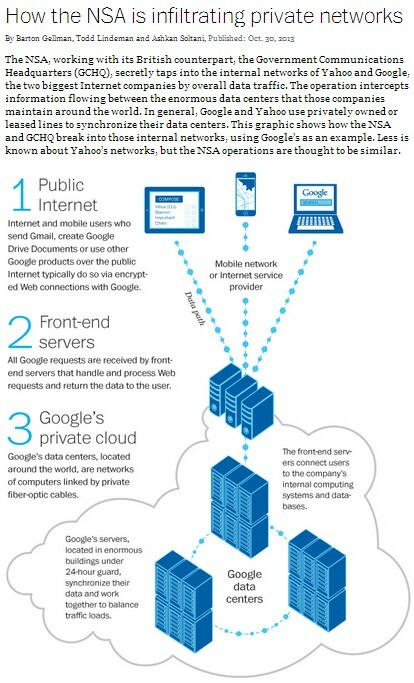 The Name of the Data Cloud is Called In-Bloom. FERPA - Expanded Unilaterally by United States Secretary Arnie Duncan Unilaterally With Out Congressional Approval to Expand to Allow Third Party Vendors to be Authorized Representatives. This Open the Door to Third Party Contracts Through Out the Country. Eight States Have Pulled Out. Data Controlled by the States? Just Because We Have Built the Technology Doesn't Mean We Have to Populate It. Are Common Core Standards Actually Data Tags? Public Records – Now Online? 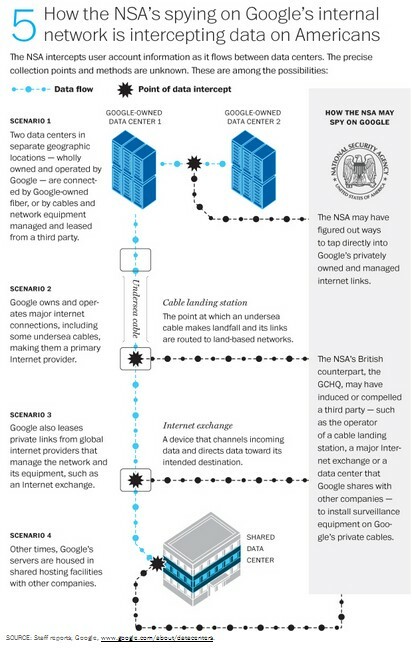 The National Security Agency has infiltrated the links between Yahoo and Google data centers worldwide, according to the latest leaks by NSA whistleblower Edward Snowden. Tapping into these links allows them to secretly siphon off information from those companies’ data streams. 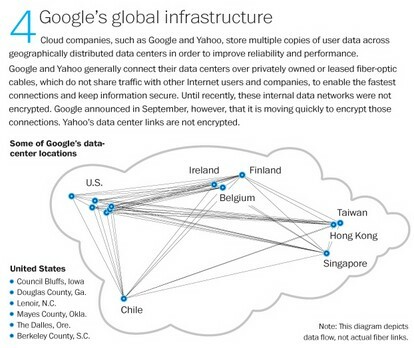 The links between data centers are not encrypted, though Google announced in September that they will begin encrypting their links. 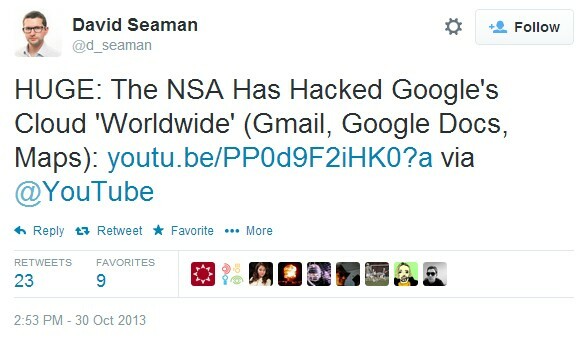 Gen. Keith Alexander, head of the NSA, says that, to his knowledge, this program does not exist. RT’s Sam Sacks has more information on how the latest revelations are different from the previously disclosed Prism surveillance program.